More developments concerning China’s crackdown on social-platform Texas Hold’em poker apps being used as the gaming vehicle for a burgeoning Chinese underground poker scene have emerged. 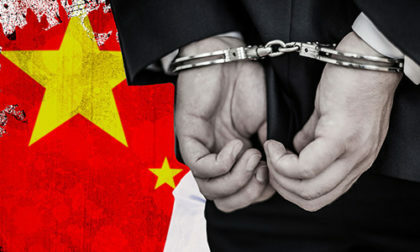 The latest news includes the recent revelation in Chinese outlets that at least three executives of Ourgame subsidiary Beijing Lianzhong Company, along with roughly 36 others, were arrested in April in connection with the promotion or operation of the underground games. The arrests are one of at least three known series of such waves since late 2016 targeting the underground-poker scene in China. In that light, the recent crackdown on the poker apps and related social-network means used to communicate about and promote the underground games is better understood as an increased attempt to stop the clandestine poker games, rather than a poker-targeting strike from out of the blue. Chinese news reports regarding arrests are somewhat similar to those in some northern European countries, in that the full names of those arrested aren’t released unless the parties are found guilty at trial. 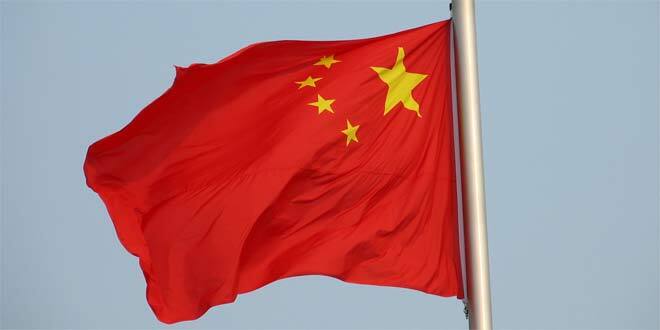 That said, in a breaking story first offered at Beijing News Media, three Beijing Lianzhong Company execs were arrested in April as part of a multi-task investigation including China’s Ministry of Public Security and separate enforcement agencies in Henan, Beijing, and Guangxi. The three Lianzhong executives arrested were the company’s executive vice president, identified as “Qinyou”, the head of the “chess and card” division, “Xu”, and “Zhou”, the head of the “large customer” (VIP services is a better translation) department. The ongoing investigation into Lianzhong’s corporate activities indicates that the company’s “Dezhou Poker” division (“Dezhou” translates to “Texas”) has earned some 335 million yuan (roughly US $53 million or 44 million euros), since 2010. Most of that revenue appears connected to the sale of in-game coins. Those coins also served as a marker for the larger amounts of real money changing hands in the underground poker games that utilized the apps as gambling services. Thirty-six people outside Lianzhong were also arrested. The vast majority of those appear to have been the so-called “agents” who recruited for and operated the games, though one of special note was “Zhang”, a “silver merchant” who was likely one of the underground games’ most prominent facilitators of funds. Beijing Lianzhong Company is Ourgame’s esports development division within China, which has focused on chess and bridge in the past but has more recently branched out into other endeavors such as poker. Lianzhong develops and promotes a large number of game apps, and many of those apps also serve as recruitment tools into large live esports events offered by Lianzhong across the country. Parent company Ourgame is best known in international poker circles for its $35 million acquisition of the World Poker Tour in 2015, although these recent developments pose a significant hurdle to any long-term cross-promotion plans. Also noted in the latest Chinese news stories is the strong connection between the games themselves and the social-networking tools used to recruit players into the underground games. As previously reported, the Chinese crackdown includes the banning of discussions related to poker on the popular WeChat and Weibo services, the latter of which is also owned by Ourgame. The latest reports also identify a networking app, “De Friends Circle”, which had been used as a private-game recruitment tool for the underground poker in addition to other gambling forms. The crackdown on the “De Friends Circle” app occurred in January and included the arrests of individuals in 30 cities and seven of China’s provinces, including several execs at a networking company in Chengdu, in Sichuan Province. That January crackdown and investigation was connected to some one billion RMB (equivalent to yuan), being linked to the underground games, a sum exceeding US $150 million. That prior effort also wiped forum groups mentioning both poker and De Friends Circle from the Chinese online scene, but some of the virtual craters remain partially visible through Google Cache here, here, here, here, or here. Also connected to the arrests involving the Ourgame subsidiary execs, according to Beijing News Media, include prominent players and recruiters using another online-gaming platform, “797”, in a similar manner. That mass arrest, centered in China’s Zheijang Province, involved another large amount of underground gambling funds, 330 million yuan, or about US $50 million.